Mother's Day 2018 is on Sunday, May 13. Do you have a gift yet? If not, we can help. Mother’s Day 2018 is on Sunday, May 13. Do you have a gift yet? 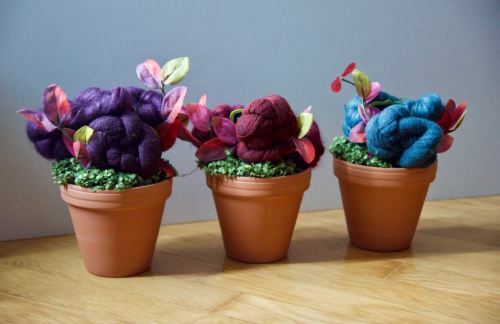 If you’re looking for some new and creative gift ideas for Mother’s Day, we’ve got you covered. Below, we spotlight a mix of botanical products that every mom will love– from natural beauty items to kitchen must-haves to artistic curiosities that will surprise and delight. Plus: all of them can be ordered online. 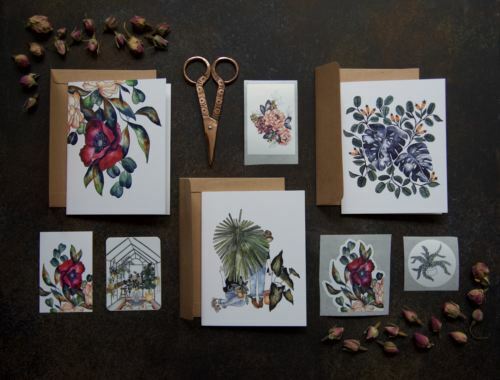 Published by Princeton Architectural Press, this box of 100 botanical postcards features the work of 10 floral artists from all over the world. The delightful designs in Flower Box Postcards range from mixed media paintings to block printed patterns of sunflowers, roses, ferns, wildflowers, succulents, herbs, and more, in a variety of cheerful colors. 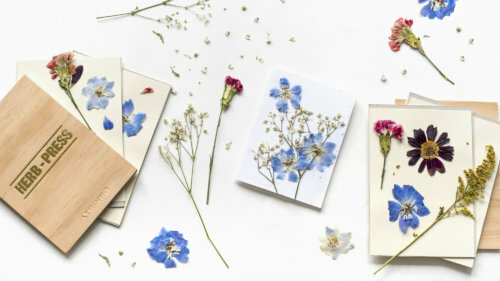 Suitable for mailing or decoration, the postcards are both whimsical and functional, packaged in a durable, beautifully-illustrated box that can be reused over and over. As we wrote in our Millenial Gift Guide: “Seedlip’s copper pot distilled, garden-inspired non-alcoholic spirits are billed as ‘The World’s First Non-Alcoholic Spirits,’ and are currently served in an array of Michelin starred restaurants, cocktail bars, and luxury hotels around the world. The “Garden 108” and “Spice 94” spirits can be served with mixers, teas, brines, and salts to create dry, sour, bitter, and savory drinks. This is a great gift for non-drinkers who want to participate in cocktail culture– or kitchen mouses who want to stock elegantly-designed products on their shelves. The Herbal Academy’s thoughtfully designed Introductory Herbal Course is a wonderful primer on herbalism, including how to use spices and herbs that have medicinal properties, and how to make herbal preparations for common ailments. Specifically curated to teach the history, ecological context, and safety of various herbs, this class is great for anyone interested in self-healing, plants, and the environment. Participants will also learn how to use herbs in healing teas, infusions, decoctions, tinctures, syrups, topical applications, and body care products. Garden Collage readers are also eligible to get 15% off any online Herbal Academy Program or Educational Package using the code GARDENFIFTEEN (valid until June 30, 2018). If you haven’t already heard about the amazing health benefits of sea buckthorn, this omega-rich berry is bursting with antioxidants that help repair and protect dry, damaged, and/or aging skin. We love Weleda’s Sea Buckthorn Hand Cream, which is full of all natural, nutrient-rich oils that has a pleasant citrus-y scent that isn’t too sweet. Additional notes of grapefruit and mandarin help energize and lift the senses. After all, who couldn’t use a good hand cream? It’s very hard to find an essential oil diffuser that 1) doesn’t overly perfume the room and 2) doesn’t look cheesy. Vitruvi’s elegant stoneware-inspired diffusers come in chic minimalist colors (black and white) and they are also made in the U.S., which is a boon to those of us who are trying to buy local for ethical and environmental reasons. This is a gorgeous product perfect for moms who need a little rest and relaxation. CB2’s industrial-chic concrete planters (bottom left in the picture above) come in a variety of shapes and sizes for style-conscious plant lovers. This earthy cement round is designed with drainage and the matt egrey planter rests on a metallic gold tray meant to catch excess water. A chic addition to any home that works indoors, on a deck, or wherever you’re looking to make a statement. A lot of women have expressed to us recently that they are interested in getting into journalling– if for nothing more than recording their memories for the future, or leaving something for their kids to cherish later. Even if your interest isn’t that deep, journalling has been said to calm the mind and be a helpful meditative practice for creative people. Sometimes, it’s just the thought that counts. Surprise mom by making our signature lavender and rose donuts or whip up these four recipes for a perfect plant-based brunch. The possibilities are endless, and the food will be made with love! A Brooklyn Girl’s Guide To Sunday: Happy Mother’s Day!